Full-time ministry work is harder. It’s more difficult on your family. I often hear these sentiments either in word or in attitude suggesting that ministry work is more demanding than the average job. Frankly, I don’t believe it’s true. 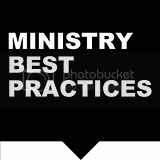 In fact, I think it’s a dangerous lie that sabotages ministry workers and distracts us from actually being as effective as we could be. It’s a lie that lulls us into laziness, complacency and mediocrity. 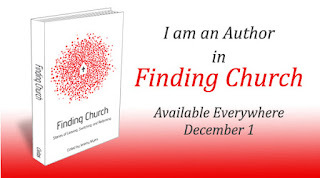 I worked 9 years in corporate America before spending the last 6 years in full-time ministry. They have both been hard. I’ve shed tears at both. I’ve been frustrated, offended, disappointed, hurt, angry, over-worked and under-appreciated in doing both. I’ve spent countless long days and many nights away from home in both types of work. I’ve apologized to my husband for doing work at home more times that I would like to admit. If how you earn your paycheck is through full-time ministry work, it’s supposed to be hard. By it’s very nature it’s work. I would have loved to have overheard the conversation between Adam and Eve after The Fall when they had to go to work. Gone were the days of frolicking naked in the garden. I’m pretty sure it was nothing short of back-breaking work that they encountered. My point is that we as ministry workers need to be careful about how we perceive and portray the work we do. It’s very relationally and emotionally charged. It’s a very personal passion and conviction. But that doesn’t make it better or more difficult than someone else’s calling. Guard yourself against the arrogant assumption that ministry work is more difficult work. Your false perception may be the very thing that hinders you from doing what you’re really called to do. What do you think? Is ministry work more difficult?